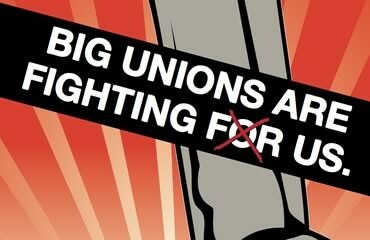 Washington, D.C. – As part of its ongoing campaign against the negative effects of teachers unions on education in the United States, today the Center for Union Facts is running a full-page ad in The New York Times calling attention to the contributions of the American Federation of Teachers to America’s academic decline. 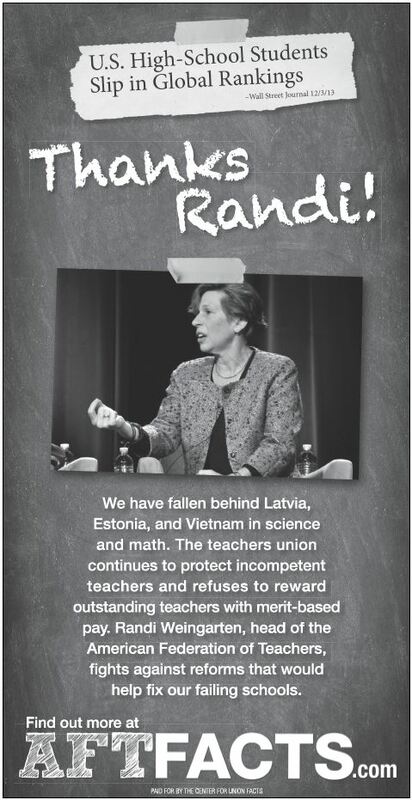 The ad focuses on the fact that instead of rewarding excellent teachers with higher pay, Randi Weingarten and the AFT protect incompetence in the classroom by opposing merit-based pay at every turn. The ad begins by citing a recent Wall Street Journal headline that reads, “U.S. High-School Students Slip in Global Rankings,” referring to the latest Program for International Student Assessment (PISA) results in which U.S. 15-year-olds continued to underperform in the subjects of math, science, and reading comprehension relative to their international peers. 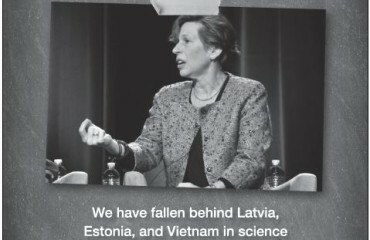 The ad concludes by prompting readers to learn more at AFTFacts.com, a website operated by the Center for Union Facts for the purpose of exposing the corrosive effects of the nation’s second-largest teachers union on public education.